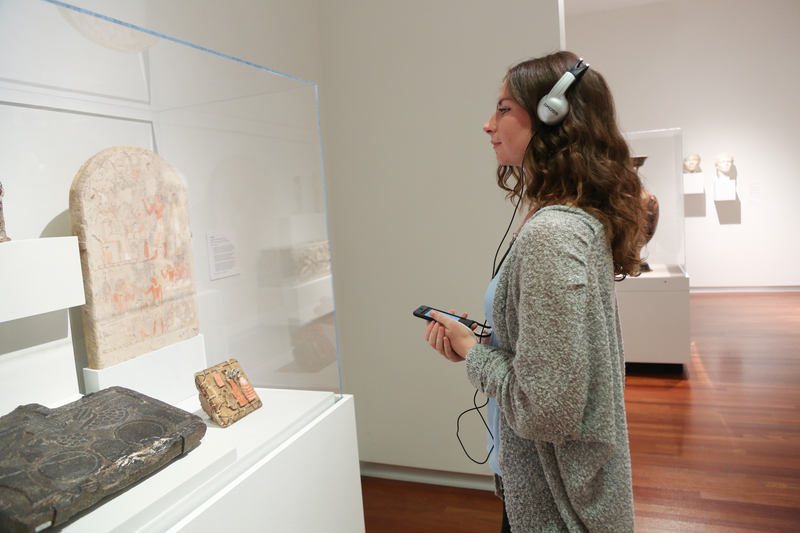 Discover more about the art on view using our free audio guide. Fascinating stories from a variety of Museum voices—conservators, curators, educators, and more—will enrich your experience in the galleries. Hear entertaining factoids, gain new insights, and look closely as you listen. Connect to free Wi-Fi through UGuest, open your web browser, agree to the terms, and press Connect. Find the symbol on wall text next to an object and enter the number in the audio guide. Press Transcript at any stop to read the audio stop text.